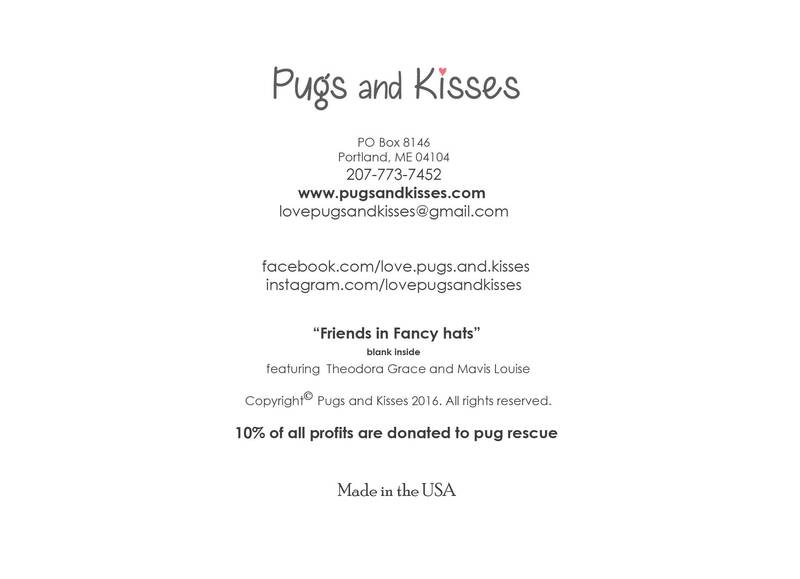 This item is one, "Friends in Fancy Hats," 5x7 blank greeting card, featuring pug-besties Teddy Grace and Mavis Louise. 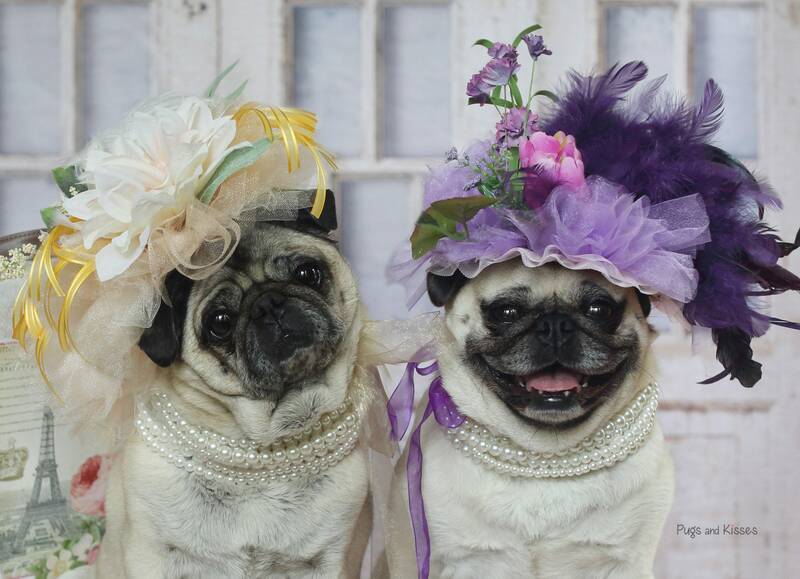 Aren't they toooo adorable? 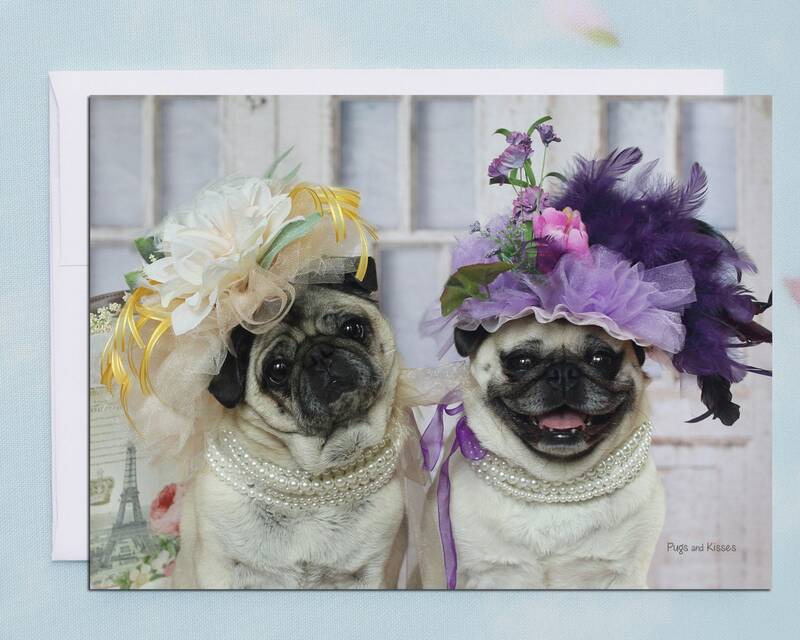 We are sure that this funny and fashionable card will make the day of your bestie! !